Looking forward to partying at ULTRA Singapore on 10 & 11 Jun ’17? Great news! 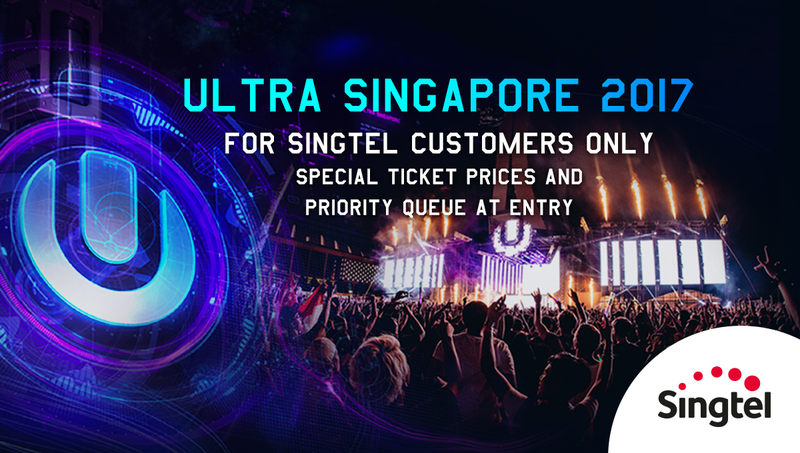 Singtel mobile customers enjoy 10% savings on tickets and priority queue at entry. There are limited tickets available so get yours now at http://bit.ly/2mmgSnL!